Earlier this week, I bought an inexpensive, off-brand, RC car. I was looking for something that would encourage me to get outside a little bit and driving one around seemed like it could have some relaxing, meditative qualities. I could be wrong in all of this, though, so I didn't want to sink a lot of money into something expensive. This is an area where I have zero experience. My previous forays into the world of RC vehicles include a couple of drones I couldn't see to fly (my main reason for buying something ground-based this time), and a couple of RC toys as a kid. I did have a nicer monster truck in high school that I enjoyed, but I don't remember any details. So a $50 car with good reviews seemed like a safe place to start for something that might not hold my interest at all. 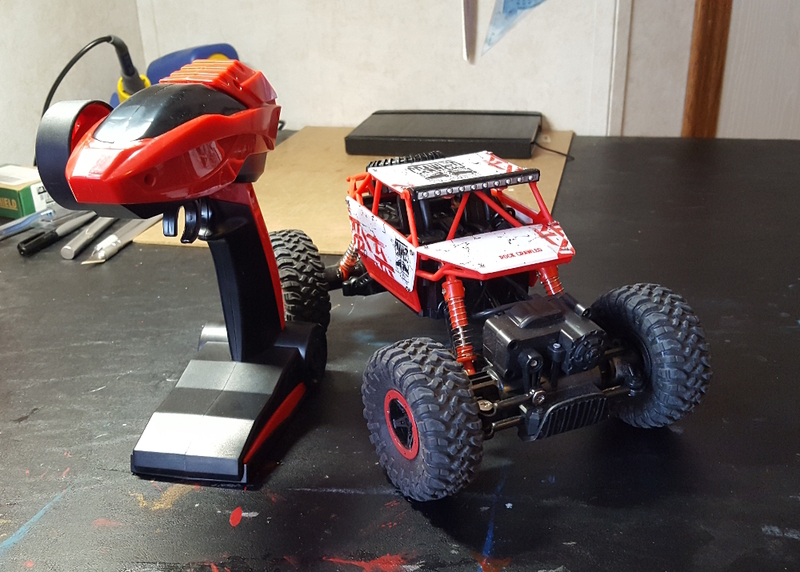 I've taken it out a few times now and let me start by giving a quick review of this particular RC vehicle: For its price, it's great. You get about 30 minutes of drive time off the somewhat puny 700mAh battery and the buggy has more than enough power for driving on rough ground, somewhat tall grass, large gravel/small rocks, small hills, and up small curbs. It's not at all fast, but that's to be expected given that the motor is geared in such a way as to make it fairly powerful for its size. Due to its small scale (1/18) the ground clearance obviously isn't great, so that leaves out the big obstacles and rougher terrain. The motor housing isn't waterproof, so you have to watch out for that, but for $50, it's a lot of fun. I'd still firmly put this in the "toy" RC vehicle category and not the "enthusiast" category, but it is a well-performing, rugged, and affordable toy. As for the question of whether or not this little experiment will pay off and have the "getting outside and doing something fun and mentally relaxing" benefits that I was looking for, that remains to be seen, but I am enjoying it more than I expected to.